A large herd of over 100 horse advocates, locals, and wildlife photographers will be galloping in from all over the country to gather in front on the Bureau of Land Management (BLM) State Office in Salt Lake City on Friday, April 5, 2019, from 11 am to 12:30 pm to protest the mass removal of the Onaqui wild horses -- Utah’s most iconic and visited wild horse herd, located on public lands near Tooele. Groups will encourage the BLM to expand the PZP fertility control program to stabilize the Onaqui wild horse population as opposed to the expensive and cruel planned roundup. Leading the charge are the American Wild Horse Campaign and the Salt River Wild Horse Management Group. Following the rally, the groups will meet with the BLM to urge them to cancel the planned roundup of the horses and instead give humane management a fair shot. The groups will encourage the BLM to expand the existing PZP fertility control program to stabilize the Onaqui wild horse population humanely and at no cost to the federal government or taxpayers, as opposed to the expensive and cruel roundup that is planned. An estimated 586 wild horses live on more than 240,000 acres of designated public land outside of Tooele, known as the Onaqui Mountains Herd Management Area (HMA). Just an hour from Salt Lake City, this unique and accessible herd is the most visited and photographed wild horse population in the country. As such, it is an important ecotourism resource for the local area. As early as July, the BLM intends to round up and remove 465 wild horses – or 80 percent of the Onaqui population – from their rightful home on our public lands. These wild horses will be subjected to traumatic helicopter stampedes that cause injury and sometimes death. 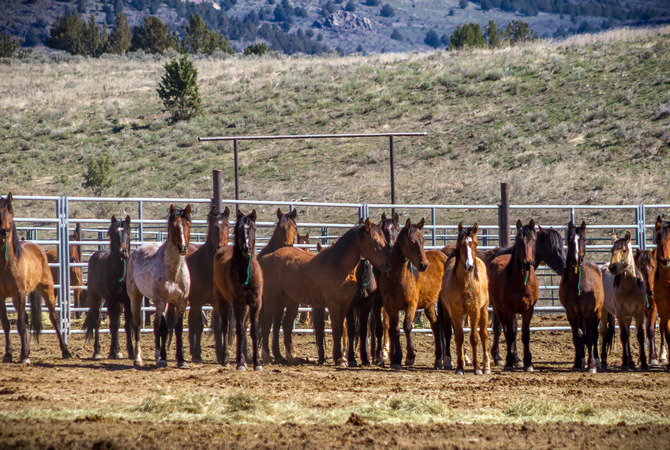 After the roundup, the horses will be separated from their families and sent to holding pens where they will be “processed” and put up for adoption. 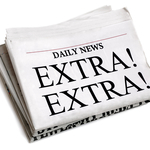 A small number will be adopted; most will spend the remainder of their lives in government holding pens and pastures. "The unique herd dynamics and family bonds of this historic herd will forever be lost if the BLM gallops ahead with this roundup," states Simone Netherlands, President of the Salt River Wild Horse Management Group. "The Onaqui wild horse herd will be devastated, along with the public who loves them." The two organizations say there is a better way to manage wild horses, and that it is also cheaper for the taxpayer. This roundup comes at a time where the number of wild horses and burros warehoused in BLM holding facilities has soared to 50,935, costing taxpayers about $50 million and consuming 61% of the $80 million budget for the entire BLM Wild Horse and Burro Program. 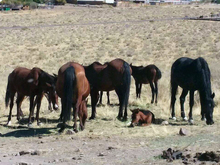 Meanwhile, the American Wild Horse Campaign has offered a proposal for the expansion of a fertility control program for the Onaqui herd using its resources to support the BLM in making their current fertility program a success, supplying a team of qualified darters to administer the vaccine, equipment, supplies, and an online identification database. To date, BLM has declined the offer, but the group stands ready and able to follow through. The American Wild Horse Campaign (AWHC) is the nation’s leading wild horse advocacy organization, dedicated to defending America’s wild horses and burros to protect their freedom, preserve their habitat, and promote humane standards of treatment. AWHC’s mission is endorsed by a coalition of more than 60 horse advocacy, public interest, and conservation organizations. The Salt River Wild Horse Management Group is an Arizona non-profit organization established to protect, monitor and scientifically study the Salt River Wild Horses. The SRWHMG has been spearheading the effort to secure lasting protections for this iconic and beloved wild horse herd in the Tonto National Forest.